Elford Development will now be able to start constructing its spec building at Innovation Park on Industrial Parkway. 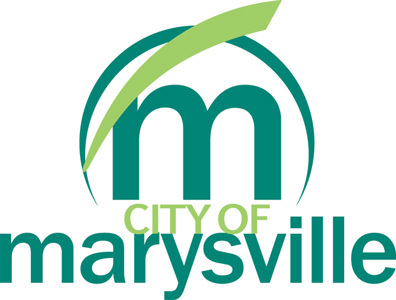 On Monday night, Marysville City Council finally approved an agreement between the city and the Elford Construction firm. Earlier this year, Elford came to the city to enter into a deal to construct a building, which it said can “accommodate users from 30,000 to 180,000 square feet,” according to a release. Council member Tracy Richardson asked if the city included an incentive agreement for Elford. “Have we got that situated?” she asked. Jason Stanford, of the Union County Chamber of Commerce, said there is not yet a tenant for the building. Once there is, the city can start discussing incentives. Innovation Park, was purchased by the City of Marysville in 2016 to serve as a designated space for tech-focused companies. Council members also received more updates on the projects on Routes 38 and 31. City Engineer Jeremy Hoyt said crews are slated to start the final leg of resurfacing on Route 31 on Thursday to be done by Saturday. Work will then start on the electric system and sidewalk. Ohio Department of Transportation crews are resurfacing Route 38, with work expected to be completed by the end of the week. Council member Henk Berbee asked officials if the roadway would be opened when work moves to the curb. Hoyt said while crews will still need to stripe the area, the roads should be opened after resurfacing ends. Hoyt said orange barrels might still remain to make sure drivers slow down, but they will likely stay along the side of the road. “There will be some work off the edge,” Hoyt said. -Officials took time at the beginning of the meeting to recognize the winners of the Connie Patterson Beautification Contest. Winners were given commemorative stones, while all participants received commemorative flags.